Mary Izard was born on July 31, 1747, in Charleston, South Carolina, the daughter of Walter and Elizabeth Gibbes Izard. Arthur Middleton was born on June 26, 1742, at his family plantation, Middleton Place, near Charleston, South Carolina. Arthur’s father, Henry Middleton, sent Arthur to England at the age of twelve to be educated at the Hackney School, and at eighteen, he began study at Trinity Hall, Cambridge. Middleton excelled in the classics, and developed a refined taste for painting, music, and literature while traveling through Europe after his graduation. Middleton returned home just before Christmas 1763. In 1678, Edward Middleton emigrated from England to Barbados and from there to South Carolina, eight years after the founding of Charleston. Receiving large grants of land on Goose Creek, Edward settled at a plantation he named The Oaks, and served as Lords Proprietors deputy for many years. His estate passed to his son, Arthur, who also was active in public life and became president of the convention that overthrew the Lords Proprietors in 1719. 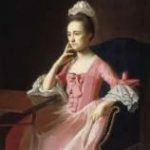 In 1741, Arthur’s son, Henry, married Mary Williams, the only daughter and heiress of John Williams, a wealthy landowner, Justice of the Peace and member of the Assembly. 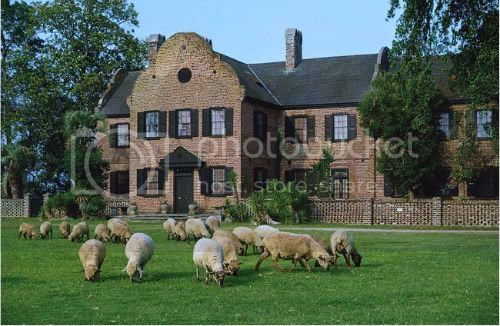 Mary’s dowry included the house and plantation they named Middleton Place. Here, rather than at The Oaks, they made their home. Henry Middleton, an influential political leader, was Speaker of the Commons, Commissioner for Indian Affairs, and a member of the Governor’s Council until he resigned his seat in 1770 to become a leader of the opposition to British policy. By this time, Henry was among the wealthiest landholders in South Carolina with more than 50,000 acres (about 8 square miles) and approximately 800 slaves. For the last twenty-three years of his life, Henry lived at The Oaks, returning there after the death of his wife in 1761. Henry twice remarried, but his five sons and seven daughters were all children of his first wife. On August 19, 1764, Arthur Middleton married Mary Izard, with whom he would have nine children: Henry, Maria Henrietta, Eliza Carolina, Emma Philadelphia, Ana Louisa, Isabella Johannes, Septima Sexta, John Izard, and Middleton. Arthur and his bride settled at Middleton Place. Middleton joined the growing ranks of ardent patriots, despite his English education and the security of being heir to a profitable rice plantation. Early in the cause, he became a vocal opponent of the Tories, citizens who still supported Great Britain. 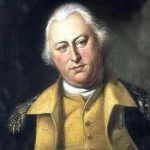 In 1774, Henry and Arthur Middleton, with nothing to gain if the cause of the colonies succeeded, and much to lose if it failed, without hesitation took the side of the Patriots. From this time on, Arthur Middleton was actively employed in promoting the interests of the colonies. In June 1775, the Provincial Congress of South Carolina appointed Middleton and twelve others to a Council of Safety, which assumed the executive power of the colony. He was also a member of a secret committee that was given the authority to prepare for the defense of the colony; they immediately took possession of the public magazine of arms and ammunition in Charleston and moved it to a safe place on the night of April 21, 1776. Shortly thereafter, he was chosen one of the representatives for South Carolina in the Continental Congress, then in session at Philadelphia. 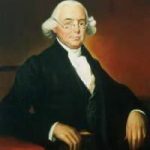 Middleton voted for independence and readily signed the Declaration of Independence in the summer of 1776, with a prospect of sacrificing his possessions, his family, and possibly his life. Middleton continued as a member of Congress, taking his family with him to Philadelphia, until the close of 1777, when he resigned his seat in Congress to return to South Carolina to help manage his parents’ estates. In 1779, the southern states became the principal theater of the Revolutionary War. Many of the plantations were wantonly plundered, and the families and property were exposed to the insults and ravages of the British. During this time, Middleton Place was vandalized. Although the buildings were spared, they were rifled of everything valuable. Articles that not be easily transported were destroyed, including a valuable collection of paintings. He and his family narrowly escaped a British raid of his plantation. During the Siege of Charleston in 1780, Arthur Middleton was a member of the militia. He and South Carolina Governor John Rutledge entered Charleston with the troops assembled there for its defense. On April 1, 1780, the British forces outside Charleston began to dig siege trenches. On April 21, General Benjamin Lincoln made his first surrender offer – he would abandon Charleston if the army could leave intact. This offer was refused. The siege was again tightened. On April 29, Fort Moultrie on Sullivan’s Island guarding the northern entrance to the harbor fell to a British assault. General Lincoln was under constant pressure from the civilian population of Charleston to end the siege, and finally on May 12, 1780, the American defenders of Charleston surrendered. The British took 5500 prisoners, including three signers of the Declaration of Independence: Arthur Middleton, Edward Rutledge, and Thomas Heyward, Jr.
Middleton and the other captives were sent by sea to St. Augustine, Florida, still under British control, where he was kept in confinement for nearly a year. While he was there, the British plundered his family estates and carried off over 200 slaves, which they sold in the British West Indies. 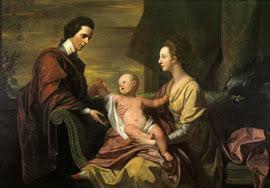 During her husband’s imprisonment, Mary Middleton was forced to ask for help from the British to care for her children. In July 1781, the prisoners were freed and Middleton returned to South Carolina. On his arrival, Governor Rutledge, appointed him again to the Continental Congress, and he was again elected to that office in 1782. He continued to occupy his seat until November 1782; he then returned to his family, from whom he had long been separated due to the war and many years of public service. He did consent to serve occasionally in the state legislature, and was a very influential member of that body, at a time when the state was still somewhat in turmoil. Besides his time in the legislature, Middleton spent time with his family, receiving his friends with the kindness and hospitality of a southern gentleman. He repaired the damage to his properties, but did not continue long to enjoy the blessings of peace and civil liberty, for which he had made many sacrifices. In November 1786, he contracted an intermitting fever, after being exposed to inclimate autumn weather. Thinking that “the power of nature” was adequate, he didn’t seek medical care until his health was so far undermined that it was too late. Arthur Middleton died at Goose Creek, South Carolina, on January 1, 1787, at the age of 44, leaving a wife and eight children; two sons, and six daughters. He was buried in the family tomb in the Gardens at Middleton Place. Built by Henry Middleton in 1755, this is the only surviving portion of the three-building residential complex that once stood overlooking the Ashley River. The House contains one of the finest collections of family-owned artifacts, including furniture, paintings, books, and documents dating from the 1740s through the 1880s. In the colonial era, rivers served as highways for the Low Country plantations. Like many plantation homes, the main house at Middleton Place was built facing the water. The plantation then passed to Henry, his eldest son, who went on to a career in politics. He was elected Governor of South Carolina (1810–1812), U.S. Representative (1815–1819), and held the post of Minister to Russia (1820–1830). In 1813, Mary left Old Combahee, a property she had inherited from her family, to her son John Izard Middleton. John in turn left it to his sister Mary, because he had no surviving children. Mary Izard Middleton died on July 12, 1814, at Mazyckborough in Charleston, South Carolina.